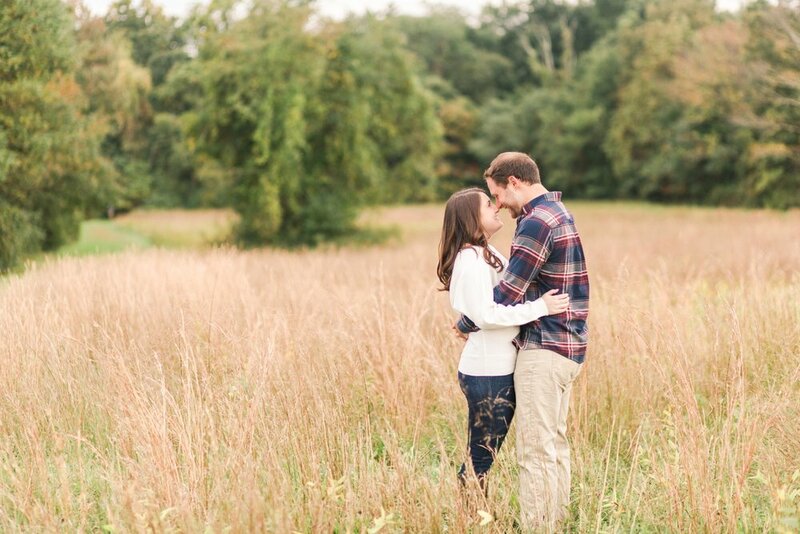 Ali and Danny chose to do their engagement session at Wickham Park in Manchester, Connecticut, since it holds so much special meaning to them! It’s a place where they often share picnics together, and it’s also where Ali’s parents had their wedding photos taken over thirty years ago! After planning an intricate proposal, Rob asked Kara to marry him at the Mamaroneck Beach and Yacht Club with stunning views of the harbor behind them! When Rob reached out looking for a photographer to capture his marriage proposal to Kara, I knew it was going to be a fantastic day! Despite the humid, sticky weather, Sara and Andrew were all smiles during their engagement session at Waveny Park in New Canaan! All week the forecast was calling for rain and cloudy skies, but we lucked out with some of the most beautiful golden summer light. Kelly and Dan are an absolute wonderful match! They laughed and smiled together, while simultaneously rocking their time in front of my camera. The pair even brought a bottle of champagne with personalized flutes to enjoy during some of their session, which added such a fun element to their portraits!